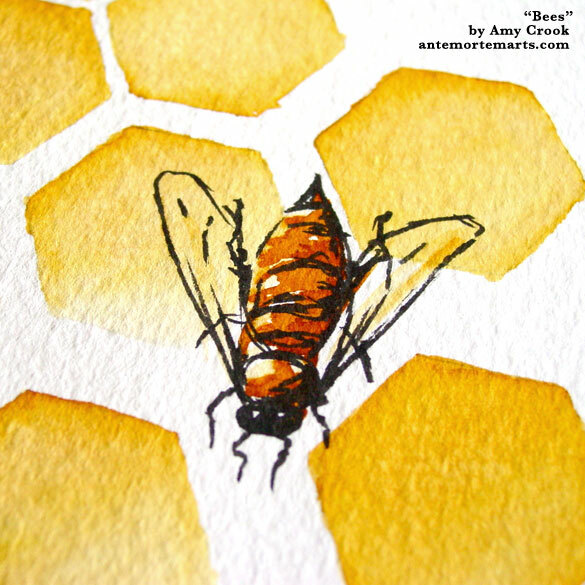 Hexagons the beautiful amber of good honey and brush-painted bees make a gorgeous composition in this ink art. 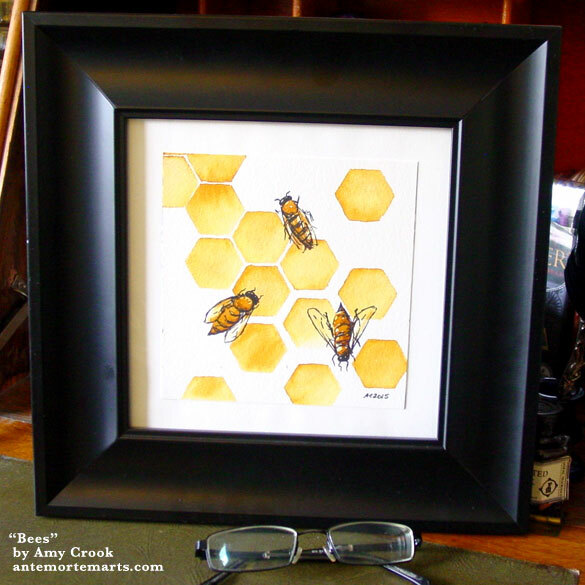 Bees are awesome, and these beauties are a delightfully illustrative example of their type. This richly colored art would add a wonderful warmth to any room. 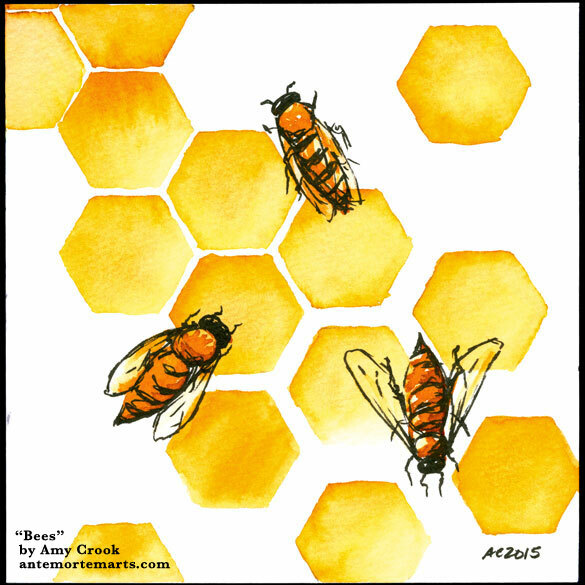 Bees, 6″x6″ pen & ink and ink wash on Fluid watercolor paper. Above, you can see a close-up of the lower right bee, just buzzing their way through life. Below, the bees are in a temporary frame, just waiting to move into their permanent hive.